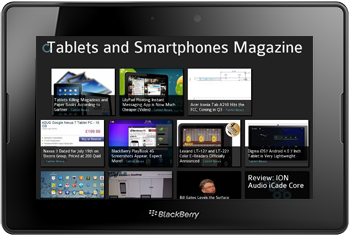 We’ve just released 24 brand new apps for BlackBerry® PlayBook™ and OS 10: Magazines. Thanks to our Magazine apps you can now read on your favorite subject with your BlackBerry® PlayBook™ or BlackBerry® OS 10 device. Whether you like cats, soccer or psychology, we got a magazine for it. Each Magazine consists of 30 articles bringing you the latest news & developments on your favorite topics. Pick your favorite and subscribe today for just $0.99 per month! Up to date: get the latest news. Easy access: start reading in 2 clicks. Fast: get instant access to your favorite articles. Smooth: switch between articles faster than ever before. Magazines are compatible with all BlackBerry® Tablets running tablet OS 2.0 or higher and all BlackBerry® Devices running OS 10 and higher. For a full list of our Magazines and downloadlinks, click here.